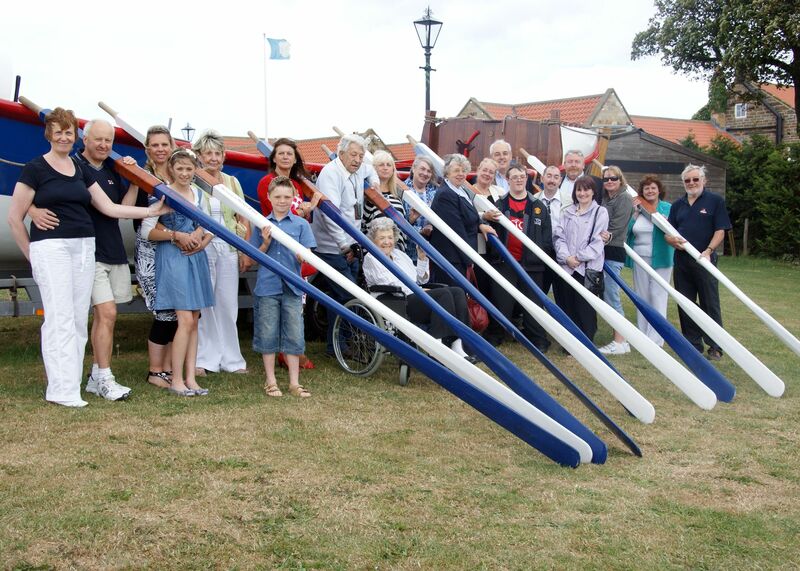 The first group photograph from the sponsor an oar fundraising scheme hosted by the Whitby Historic Lifeboat Trust. In order to try and get a good photograph the Whitby Gazette photographer, Alan Wastell tried a number of different configurations. The sponsor an oar scheme proved quite popular and amongst the participants we each had our indelible reason's that led us to sponsor one of the William Riley's ten oars.